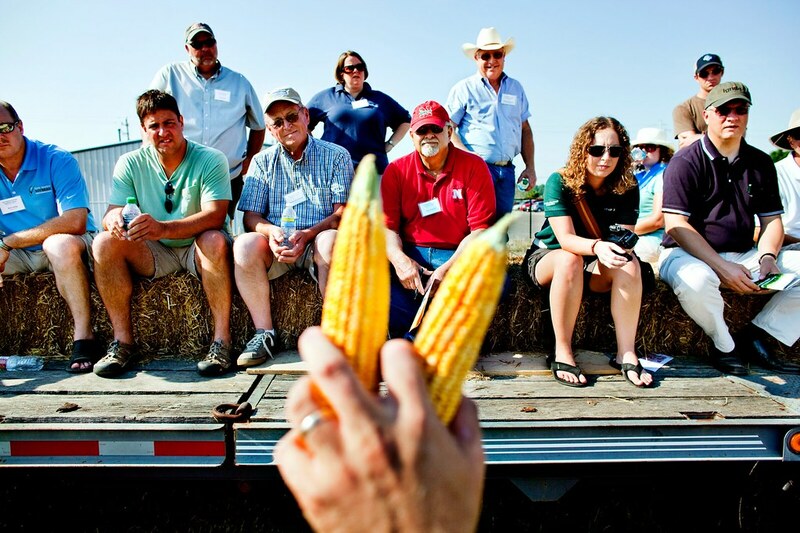 Farmers from across the country tour the fields of the Agricenter farm and listen from wagons to various presentations about experimental crops from companies the Agricenter provides space for research projects. Mike Saxton, a representative from Syngenta, explains to a group of the visiting famers about their genetically modified corn that has a trait to reduce insects ruining crops during the annual Ag Tech Field Day. i love the looks on everyones faces. and the colors.